“If it doesn’t spread, it’s dead,” is the simple consistent message of a new book, SPREADABLE MEDIA: Creating Value and Meaning in a Networked Culture, that maps the changes taking place in our media environment. For all their consolidation, concentration, and money, corporations can no longer control media distribution. Millions are now directly involved in the creation and circulation of content. “Stickiness” – focusing attention in centralized places — has been the measure of success in the broadcast era. No more. “Spreadability” – dispersing content through formal and informal networks, with and without permission – is the new goal. What does this mean for media? For information? For culture? For the distribution of power? And how can you take advantage of the new realities to have greater impact and influence? I’ll be talking about all of that this week with one of the book’s authors, HENRY JENKINS. He coined the term “participatory culture” and he’s been paying attention for decades to the crowd on the other side of the camera, the microphone, and the screen. 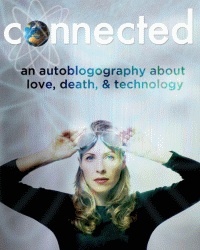 In CONNECTED, as her father battles brain cancer and she confronts a high-risk pregnancy, TIFFANY SHLAIN, co-founder of the International Academy of Digital Arts & Sciences and a Fellow at the Aspen Institute, asks what it means to be connected in the 21st century. The documentary film continues at three theaters in the Bay area, opens 09/30 at the Arclight Hollywood (Q&A w Shlain)and at the Angelika in New York 10/14 (Q&A w Shlain). 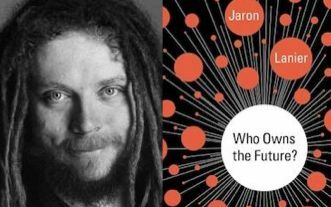 Free Forum Q&A: JARON LANIER, Author of WHO OWNS THE FUTURE? After its recent IPO, Twitter is valued at nearly $25Billion. Now what is Twitter? Millions of tweets created and shared by users plus some ads. But how many users get a piece of that $25Billion? Well, none. Where would Facebook be without Friends? What would Twitter, Amazon, Yelp, and any network whose value is based on our data, be without us – sharing photos and feelings, making purchases, registering opinions. More than programming or advertising, TV has always been about selling our eyeballs. Likewise, today’s online giants are selling our visits, our clicks, our shares. He believes the emerging business model in which companies with relatively few employees profit off the participation of all of us, could doom any hope of a rebirth of the middle class. Lanier wants to solve a problem not many are talking about, and he envisions a radical solution — “a highly humanistic economy – one that will reward people for the valuable information they share with networks and the companies that control and profit from them.